Daithí Ó DronaÍ has become the first contest to make it through to the 'All-Ireland Talent Show' final. 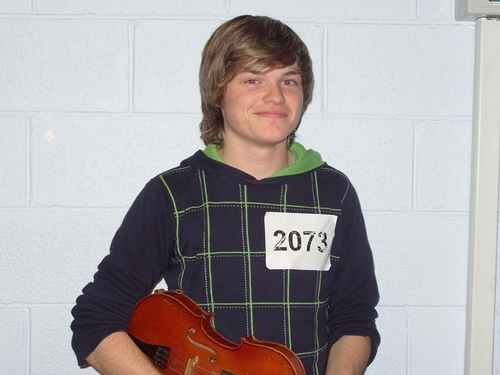 The 18-year-old electric fiddle player from Galway, who is representing Daithí Ó Sé's West category, topped the vote at last night's live show. Singer Donna Marie Sludds was later selected as the judges' wildcard after a battle with dance act Raw Edge Crew for the final spot. Piano player Vlada Fitzgerald and vocal group The Donegal Tenors also performed during the first live show of the series. To visit the 'All-Ireland Talent Show' website click here.